Deer hunting is important in Pennsylvania, but is the industry sliding? CROSS FORK, Pa. — Affectionately known as the “biggest little town in the world,” this place in north-central Pennsylvania was once a bustling logging community with a population nearing a few thousand people. 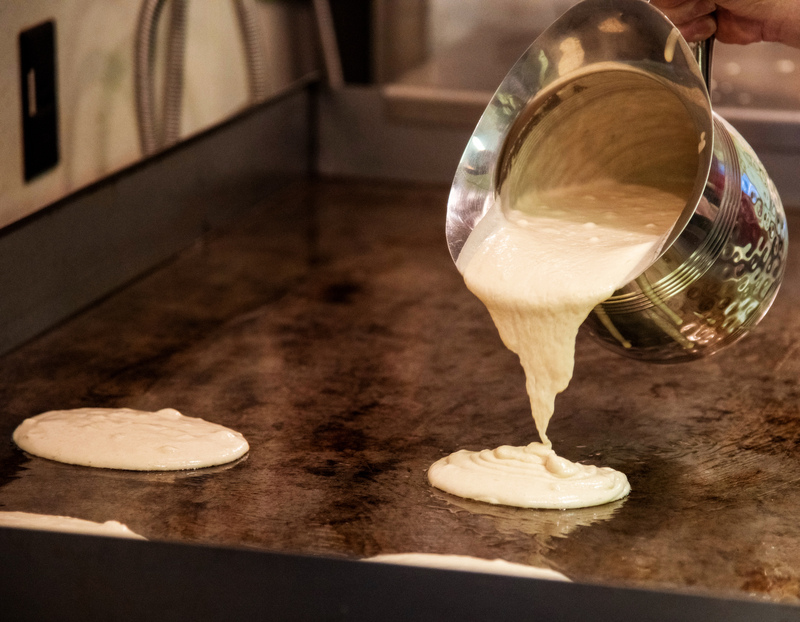 With a state population nearing 13 million people, it may be hard to believe Pennsylvania towns like Cross Fork still exist — a place nestled away in the mountains, where hunters launch their annual treks into the woods, complete with pancakes at the firehouse. But Cross Fork is just one of many. Though small, these towns contribute heavily to Pennsylvania’s hunting industry, which Hunting Works for Pennsylvania estimates has a $1.6 billion “ripple effect” on the commonwealth’s economy. A national survey conducted by the U.S. Fish & Wildlife Service within the Department of Commerce found U.S. hunters spent $26.2 billion on expenditures nationwide in 2016, compared to a $33.7 billion in 2011. That’s a decrease exceeding 20 percent. While a similar, Pennsylvania-specific report has not been produced since 2011, that document showed a dip in total hunting expenditures by in-state residents from roughly $1.75 million in 2006 to $995,000 in 2011 — a drop of over 40 percent. The causes? Some point to the fluctuation of the white-tailed deer population, licensing decisions by the state and an overall decline in hunters and seemingly, interest. Changes are happening — albeit slowly. At the heart of Pennsylvania’s hunting industry is the land itself. Michael Steingraber, information and education supervisor for the North Central Region of the Pennsylvania Game Commission, believes the state’s plentiful public hunting opportunities and acreage of game lands make it stand out. Steingraber, formerly the game warden in State College, said the Game Commission is responsible for approximately 1.58 million acres of state game land, but that hunters have access to roughly 6 million acres of huntable land, including state forests and public and private land opened up by owners to hunters. Trying to picture that amount of territory? Try 4.55 million football fields — or a state about the size of Vermont. Tucked away in the Susquehannock State Forest, 175 miles northwest of Philadelphia, all that space is crucial for Cross Fork. Serving as the fire chief for the last 15 years, Fritzinger said he and other members of the small community “do pretty well” for the size of the town and “retirement-aged” population. To show support for hunters and fundraise for the fire company, he and around 20 other volunteers host breakfasts in their fire hall for each major season — deer, bear, fish and rattlesnake. For the past 25 years, Kettle Creek Hose Co. has served between 150 to 200 people per weekend, four times a year. Born and raised in Cross Fork, Dave Flack is one of Fritzinger’s volunteers and has helped run the hunters’ breakfasts from the kitchen from the start. “We even have people come up just for breakfast and they don’t even hunt,” he said with a chuckle. With $7 getting customers a heaping plate of cook-to-order eggs, home fries, bacon, toast and pancakes, with complimentary coffee and orange juice to boot, who could blame them? Add in the smiling face of Larry Hirst, assistant fire chief and treasurer, behind the wooden counter asking, “Eggs or an omelet, bud?” to every person in the growing line of camouflage jackets, and it’s no wonder the company reels in up to $2,500 a weekend. Kettle Creek Hose Co. hasn’t always needed to host these breakfasts, though. Flack said that, over time, “the lack of other establishments doing breakfast” became a problem. Local watering holes no longer opened early for hunters traveling into town the weekend before the season started because it wasn’t sustainable. Deer eventually returned, and the hunting crews are sizable — have been for years — yet Deb Ruth, owner of Deb’s Cross Fork Inn for 33 years, can’t help but detect a change. She’s noticed fishing season has become the bigger draw in to her business. “Hunting season is dying out a little bit,” Ruth said. “It’s not what it used to be. As president of the Cross Fork Sportsmen Association, Robin Busshaus understands the complex economic aspects of the industry. Busshaus said he and six other members sell camouflage hats, Sportsmen Association patches and memberships to hunters who stay at nearby camps throughout the year. He, too, has noticed fewer people here in deer season. Busshaus said he also doesn’t think the younger generation is interested in keeping up the “family tradition” of deer hunting. Busshaus’ observations may be related to the town he lives in, but the 2016 federal report on hunting showed a small decrease in youth participation. In Pennsylvania, the number of hunters is now well under the roughly 1 million it was around the turn of this century. It’s not unusual for hunters to blame the Game Commission for a dip in their own numbers. For example, Rick Orwig, dressed head-to-toe in camo, said hunting season’s decline is due to the Game Commission’s “distribution of too many doe tags,” which cut the population down. Steingraber, of the Game Commission, said it’s not that simple as ideas like that, and hunters often forget something. He said the Game Commision, by law, is “always going to do what’s best for the wildlife,” which may not always please hunters. Steingraber noted that in the late 1990s and early 2000s, the deer population was too high, causing “too much of a negative impact” as a keystone species. He said the Game Commission increased hunting license allocations, thereby initially negatively impacting the large deer population, which then exceeded 1.5 million. In more recent years, the deer population has stabilized, usually around 1.3 million though varying from year to year, which Steingraber said indicates success for the Game Commission’s deer management program. Annual hunt totals from 2006-2017 have not exceeded 370,000 deer killed. Another strain on the deer population is chronic wasting disease, or CWD. Steingraber said CWD — which is incurable and fatal to the animals — spreads through deer-to-deer contact and spreads quicker with a denser population of deer, another argument to cull the statewide herd. CWD has been confirmed in 177 free-ranging deer in Pennsylvania since 2012, according to the Game Commission. Steingraber said this hasn’t had a “huge impact” on the population yet, but deer management areas were created where CWD has been recorded in order to slow the spread of the disease. Still, arguments about the deer population each year has created somewhat of a rift between the Game Commission and Pennsylvania hunters, despite the fact that both rely heavily on the other to succeed. “If we can keep hunters happy and have a healthy wildlife population, that’s great. If we can’t, we can’t, and the hunters are the ones that aren’t going to be happy,” Steingraber said. “Everything the Game Commission does and all of the land that we have is bought and paid for by hunters, as opposed to the general public,” Steingraber said, adding that the Game Commission gets nothing from state taxes and minimal amounts of federal excise taxes. Hunting licenses, the main source of the Game Commission’s revenue, come pretty cheap, much to the agency’s chagrin. 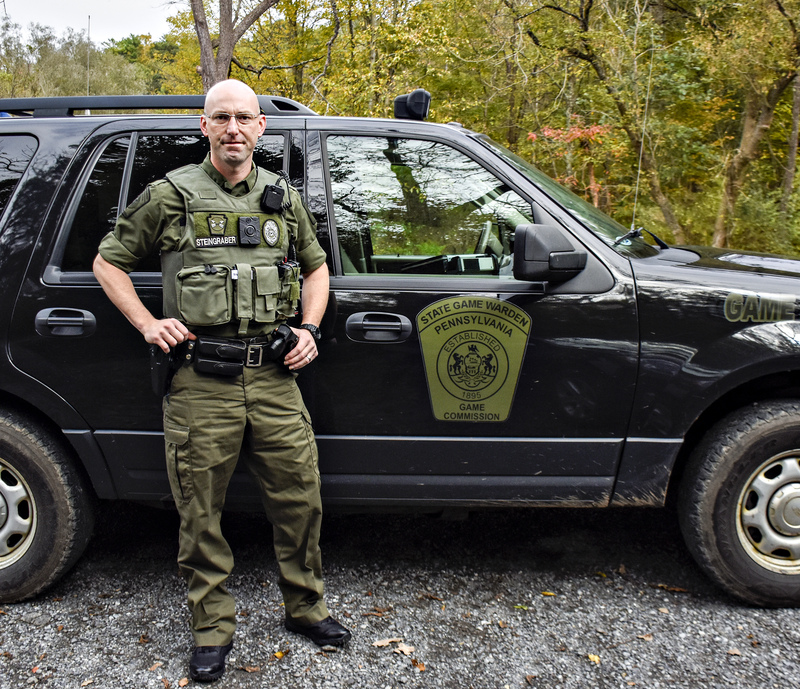 For an in-state license, a Pennsylvania resident must pay $20.90 to be allowed to hunt deer, small game and turkey for the year, according to the Game Commission’s website. Out-of-state licenses are steeper at $101.90. While many Pennsylvania residents are quite familiar with hunting and the commitment to purchase necessary gear and equipment to make it a lifestyle, few can say they’ve been doing it for 60 years. But Glenn Berkheimer, a 78-year-old resident of Cross Fork, can. “I’ve been hunting up here since 1958 and used to drive up here all the time as a young man,” Berkheimer said while running his fingers through his long white beard. He sees many differences, too, noting an “eerie kind of emptiness” compared to the way it used to be.